As if the changeover from food pyramid to food plate wasn’t confusing enough to humans, there’s also a lot of confusion out there over what makes for a balanced dog diet. 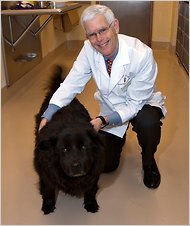 Buddy thought this Q&A with a vet on the topic would be helpful to owners. This entry was posted on Tuesday, June 7th, 2011 at 2:21 PM. It is filed under Blog. You can follow any responses to this entry through the RSS 2.0 feed.